After a solar system is installed it is important to properly commission the solar system. This means taking a volt meter through the system to verify you have the correct voltage inputs to the equipment being used. This photo was sent to me by a customer that I sold 2 inverters. Unfortunately for this installer he wired the solar array incorrectly and input 1200 volts to a 600 volt inverter. 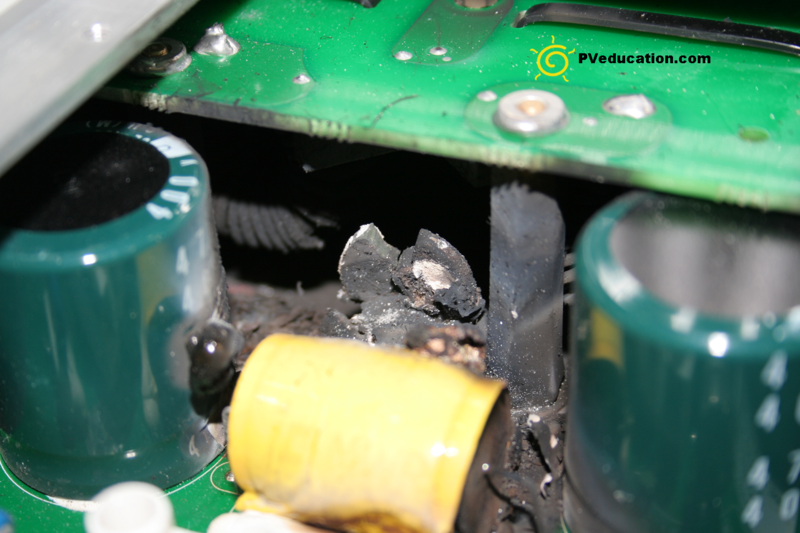 As a result, the capacitors and other parts inside the inverter failed instantly. What made it worse for this installer is that after he turned on the first inverters and it popped and smoked his reaction was to turn the second inverter on to see if it would work. Within the matter of seconds he destroyed two inverters and voided their warranties all because he didn’t check the input voltages.